Experience Years of translation experience: 12. Registered at ProZ.com: Aug 2013. Became a member: Aug 2013. 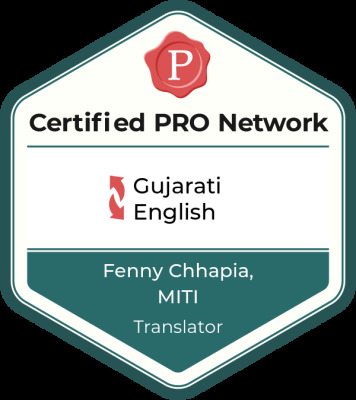 Professional practices Fenny Chhapia, MITI endorses ProZ.com's Professional Guidelines. 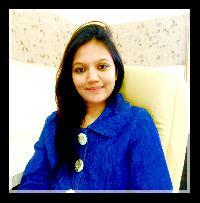 I am a translator, proofreader and editor with expert linguistic and translating competence. I have also received excellent training and experience during these years, as a full time certified translator. I provide Certified and Notarized translation for all type of documents. I continue to develop and polish my linguistic skills as a translator with satisfied clients through USA, UK and 20 more countries. With each project I undertake, I guarantee high quality work delivered on deadline. Please let me know if I can provide you any additional information. Fenny Chhapia "Different Language, Same Feelings"